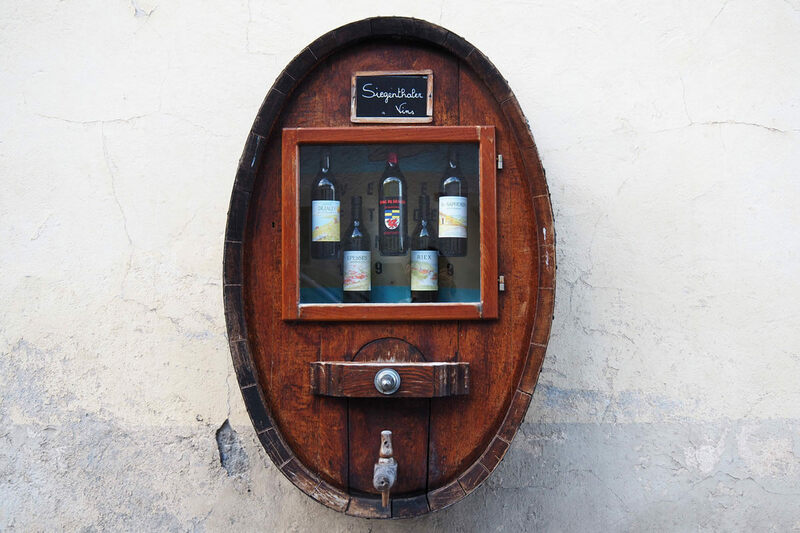 There is a saying that the Swiss don't export wine because they like to keep it all to themselves. Several years ago on a trip to the canton of Vaud, we found out that there is truth to this. 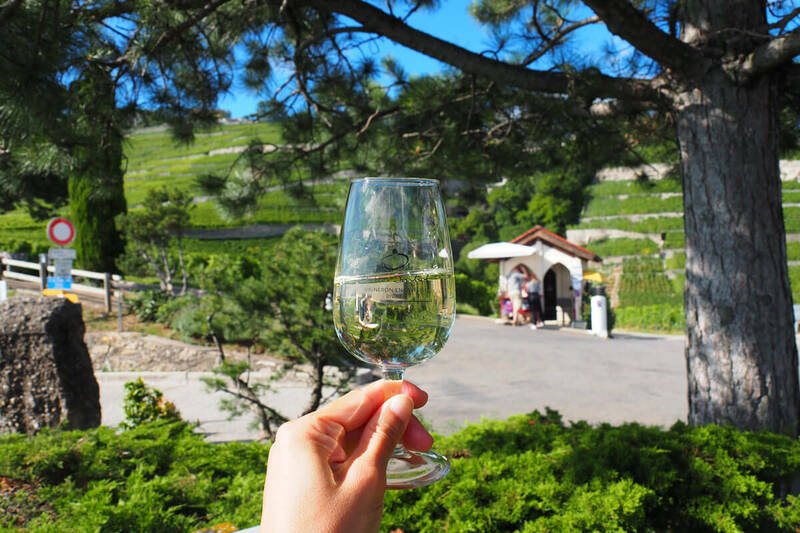 The local Chasselas wine has convinced us that the Swiss know how to produce a crisp and refreshing white wine. At the time, we visited the wine growing region around Yvorne where in the past, a rock slide had created a mineral rich environment. This unique make-up of the soil gives the Chasselas variety of whites a refreshing flavor. 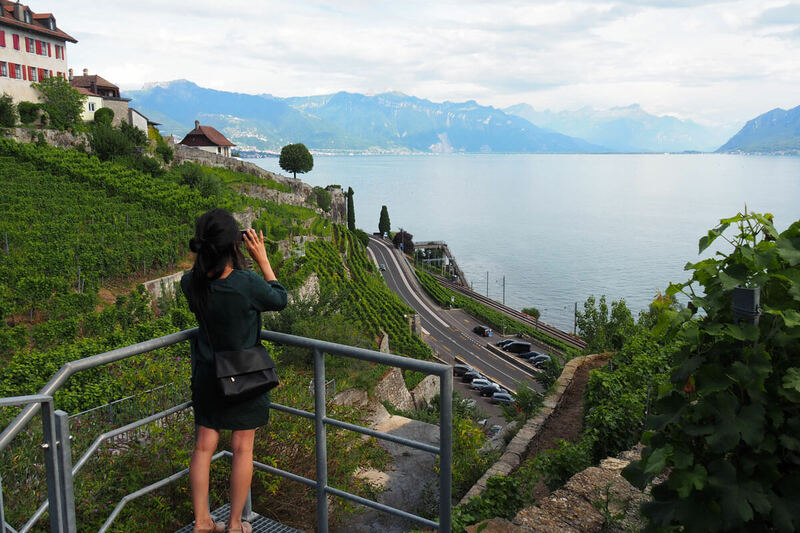 For a stretch of about 30 km, the Lavaux vineyard terraces envelop Lake Geneva between Lausanne and the Chillon Castle in Montreux. UNESCO has long taken this region under its umbrella, because there is no way such a precious region could ever be built in modern times. During the 11th century, these vast hillsides belonged to Benedictine and Cistercian monasteries. It was monks who had turned the formerly wooded area into productive vineyards that happen to have sweeping vistas. 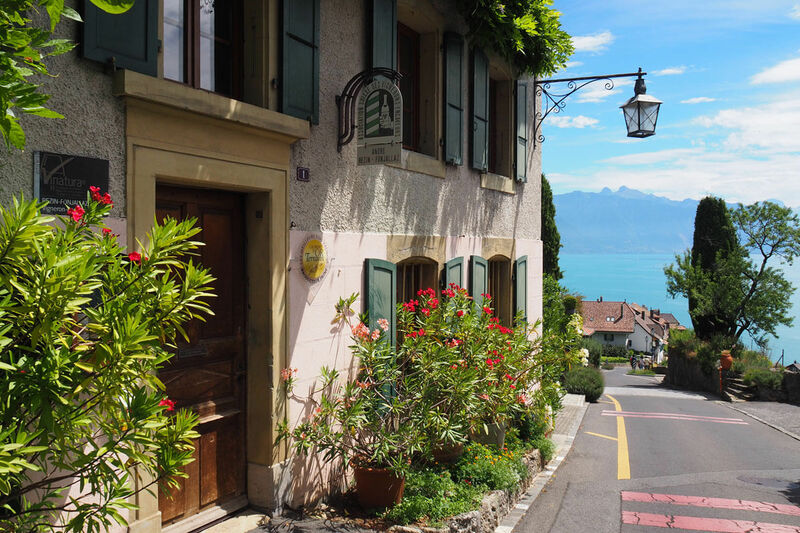 After grabbing dinner near the train station, we take the subway to Ouchy by the lake and check into the Mövenpick Hotel Lausanne. 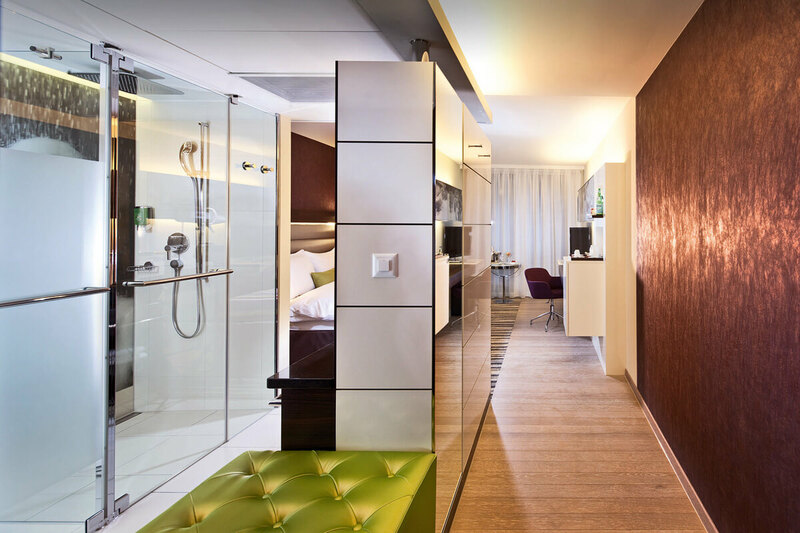 We like this hotel because they place high value on sustainability. And what could be more important than protecting the environment when staying in such a pristine area? 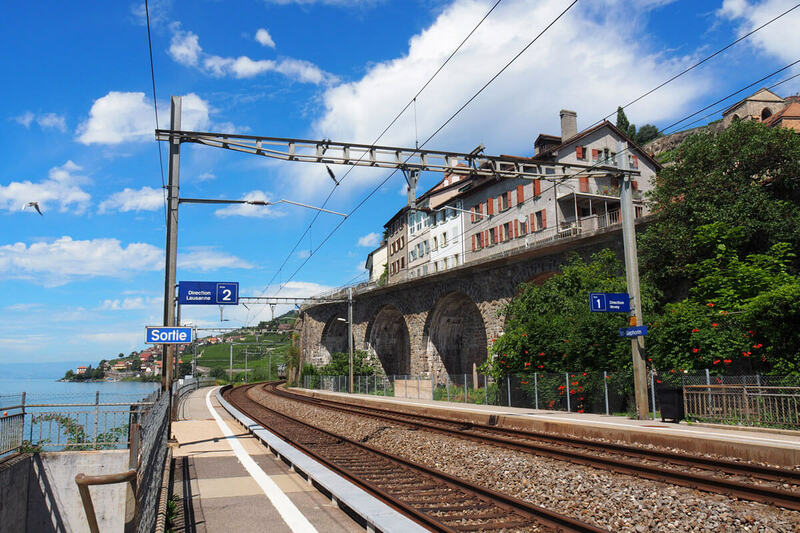 The next day after a healthy breakfast, we hop on the local train to Saint-Saphorin. It is a sunny Saturday morning in late July, and the 20 minute ride takes us along the lake. 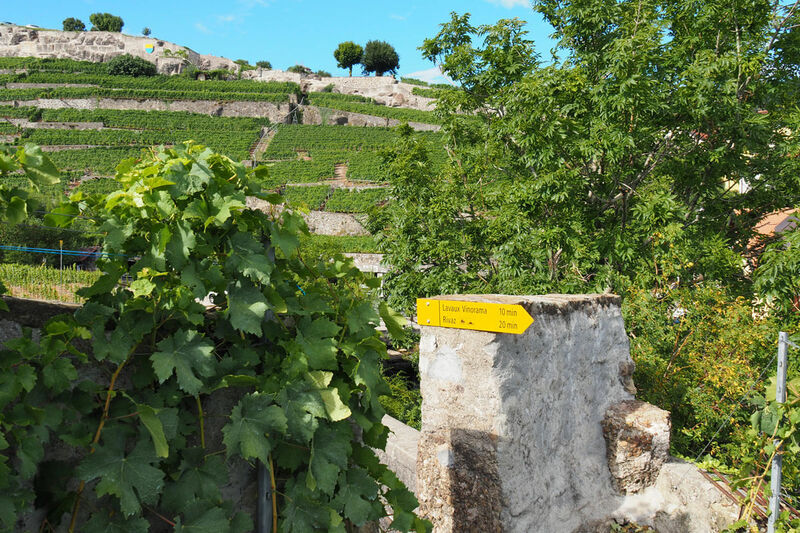 At the destination, we are stunned by the vertical nature of this place... Because just outside the station, the narrow road slopes uphill into the vineyards! Back in the direction of Lausanne, we follow the yellow way-markers towards Epesses. 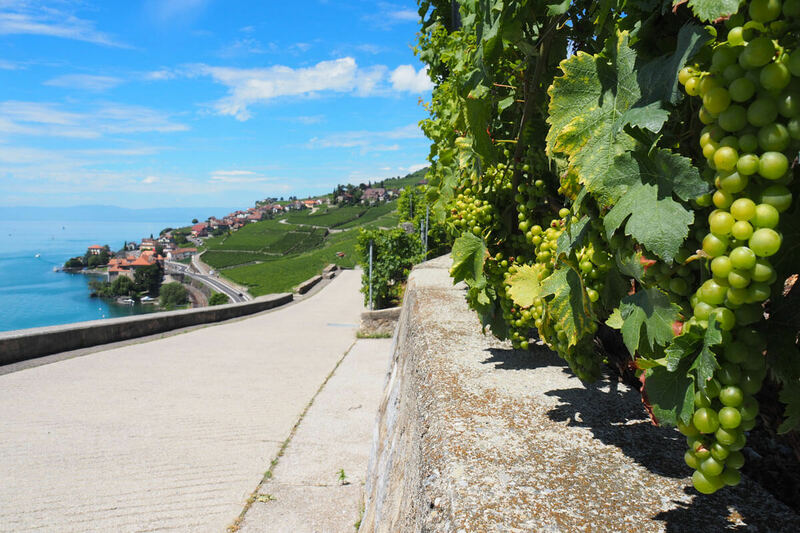 The path is mostly concrete, and there are several educational signs along the way describing viticulture in Lavaux. We also encounter some rather unusual looking working tools. 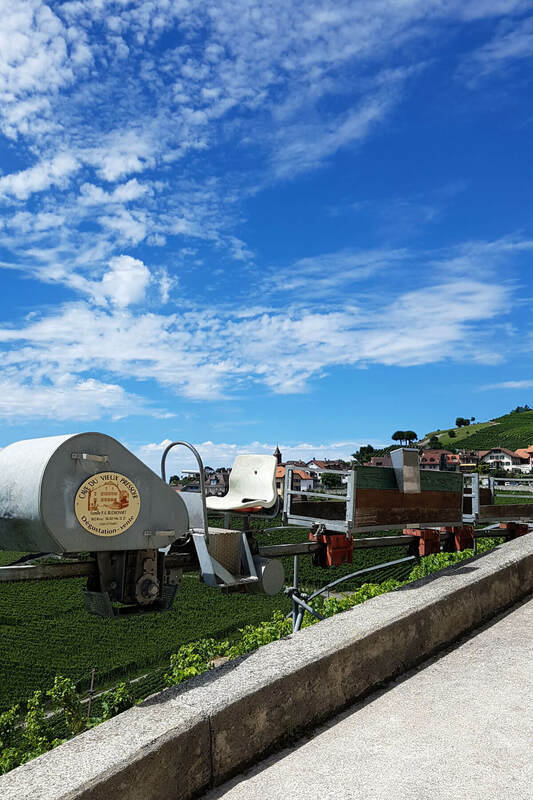 These cranes and tractors for pruning and harvesting are evidence that these vineyards are not just for show. The longer we hike, the drier our palates feel... For some reason, we haven't passed a single open winery so far. This seems strange given that there are some 250 wine growers in this region. 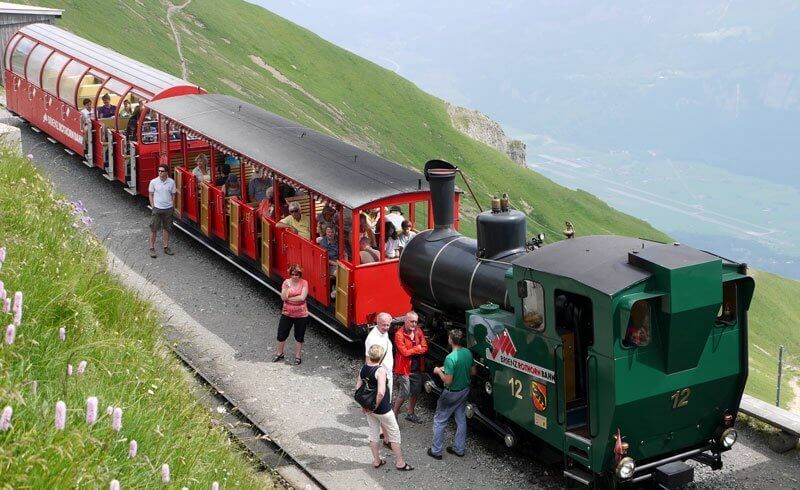 Apparently, we are not the only ones who came to Lavaux without much prior planning. 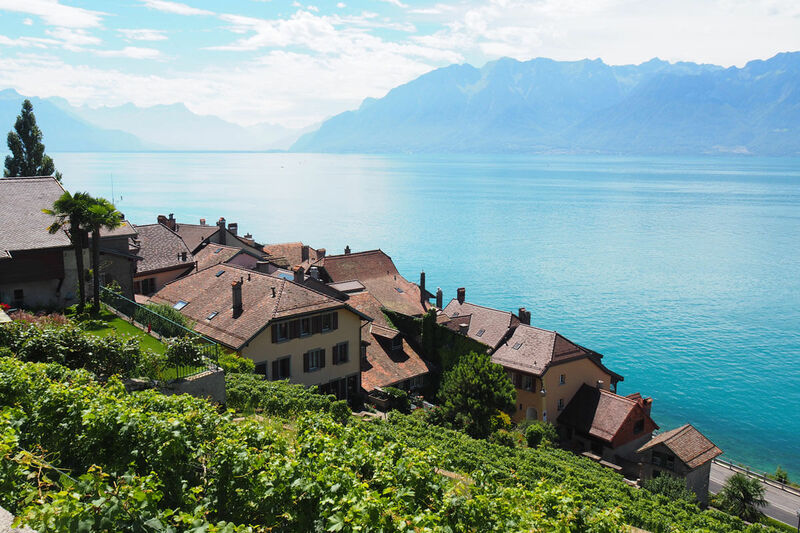 We assumed that on a Saturday morning in July, dozens of wineries in Lavaux would be ready to welcome us for a tasting (and possibly for an order of bottles). This was not the case and we inadvertently became part of an informal network with other tourists. "We just came from an open winery at the end of the street," someone tells us. But by the time we get there, the place would be closed for lunch. 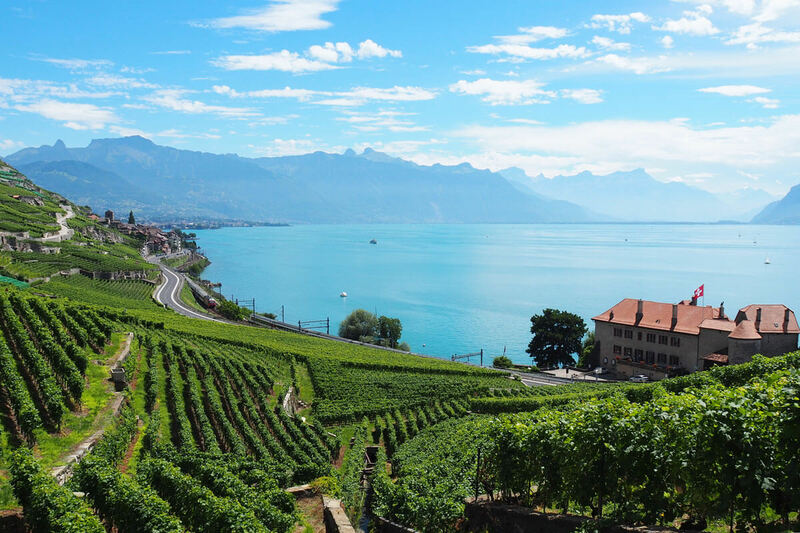 We later discovered a website listing all the open wineries in Lavaux on any given day. Many need prior appointments, too. Down below on Lake Geneva, a ship departs from the port at Rivaz. Who knows, maybe we will opt for a boat ride back to Lausanne? Our final destination is the Vinorama discovery center in Rivaz. 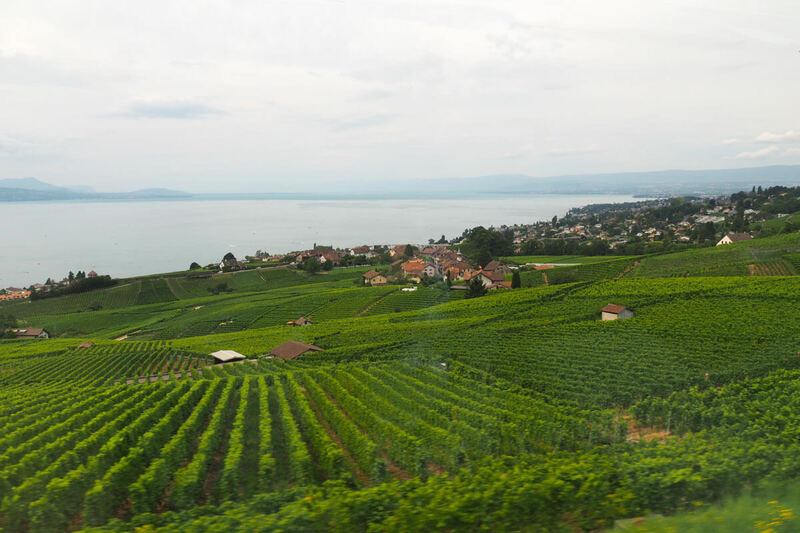 It is a great place to learn about Switzerland's vineyards at Lavaux, including its history and topography. Also, the Vinorama features more than 290 local vintages on their tasting menu, making this the perfect one-stop shop at the end of our hike. The staff was patient as we took sip after sip and explained the variations among the Chasselas wines. 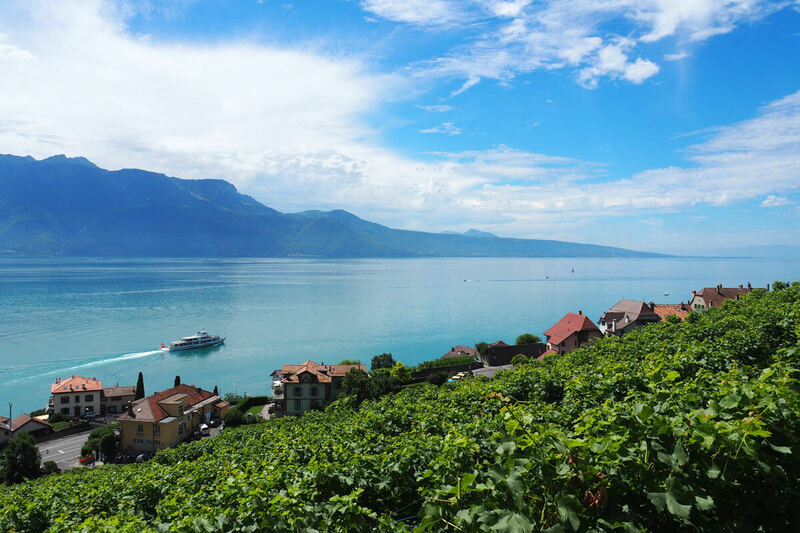 Lovers of red wine, listen up: 80 percent of the production in Lavaux make up whites, whereas 90 percent are Chasselas wines. 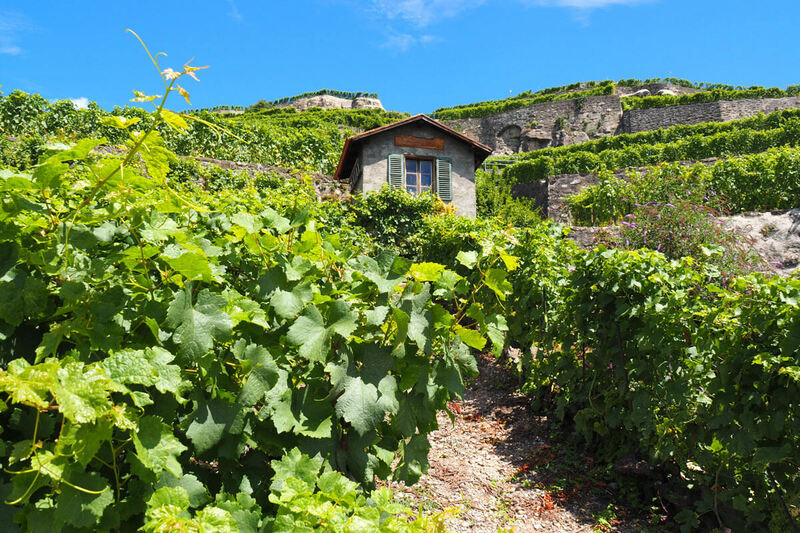 So if you are into red wine, you might want to pick a different destination in Switzerland (such as Valais or Ticino) - or go with the flow and possibly discover a new passion for Swiss white wine!